I write for the sake of meaning something to someone, somewhere and for my sanity. Brian and Michelle Russell are the proprietors of Russell’s Unique Deals. 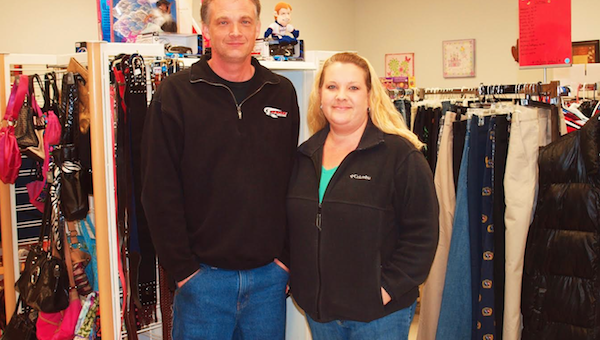 Brian and Michelle Russell reinvented their careers by opening a small business in North Carolina,Russell’s Unique Deals, that resells household items picked up from bidding on units at storage auctions. Both Brian and Michelle lost their jobs in December 2012. Brian, 42, had worked in NASCAR for 25 years. Michelle, 38, had been a preschool teacher for eight years. “I never truly imagined owning a small business, especially of this nature,” Brian said. Brian got the idea to bid on storage units from a neighborhood friend, Richard Ray. Ray bids at storage auctions and resells furniture and tools at the Webb Road Flea Market in Salisbury, NC. Ray directed Brian to the storage facility where he made his first purchase. 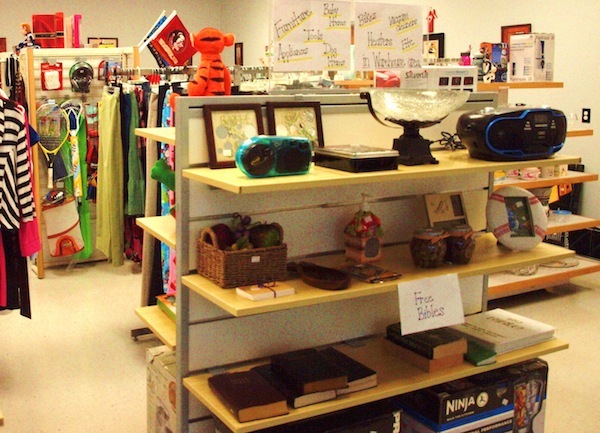 In April 2013, Brian first purchased the contents of a storage unit for $10 at Salisbury Gateway Storage in Salisbury. He turned a profit of $100 by selling the contents of the unit, including a filing cabinet and a model airplane. He bought a second unit filled with medical equipment the following month—paying $750 and racking up $5,000 in resale value. Brian said he and Michelle began by selling items out of their garage and on a third-party Facebook page, Rowan County Online Yard Sale. Eventually, Brian decided to create a Facebook page for the couple’s business, and Russell’s Unique Deals was born. Business continued to grow, and Brian branched out into buying items from pallet, freight and liquidation sales. Before the Russells set up their store, the couple sold goods out of the home in Granite Quarry, NC, that they share with their two teenage children. Realizing they lacked room to expand, the Russells leased a 5,100-square-foot store at the South Main Business Center in Salisbury. Brian said the decision didn’t come lightly. The couple earlier had spent almost a year preparing to open a burger franchise. “I spent countless hours doing research on the local restaurant market and even traffic patterns, looking for the right location, but the deal never went through,” he said. Now, after paying off debt and setting aside money for the resale business, the Russells are making a living from Russell’s Unique Deals. “We had to bring home an income by January 2014 and, fortunately, we’ve been able to make that happen,” Brian said. Brian also has adopted a financial strategy for bidding on storage units. First, he uses his smartphone to research the cost of household items he sees in a unit, such as furniture and appliances. Then, he writes down the average cost and deducts 60 percent—10 percent for business taxes and credit card fees, and 50 percent for the tagged price. The final total is how much he’s willing to bid on the unit. Brian said the most he has spent at one time is $1,100; he normally spends between $300 and $400. Brian limits purchasing at storage auctions to two days a week. Brian said most customers find Russell’s Unique Deals through its Facebook page, which has more than 1,000 fans. On one Saturday in January, everyone who entered Russell’s Unique Deals marveled at the wide selection and the prices. Michelle managed the storefront, categorizing the items and arranging them on shelves and hangers. Brian helped customers and pointed out items for sale. This day, few shoppers left empty-handed. One customer, a Cub Scout troop leader, asked about the price of some stackable chairs. He was impressed by the price but couldn’t make the purchase for his troop before speaking to fellow Cub Scout leaders. 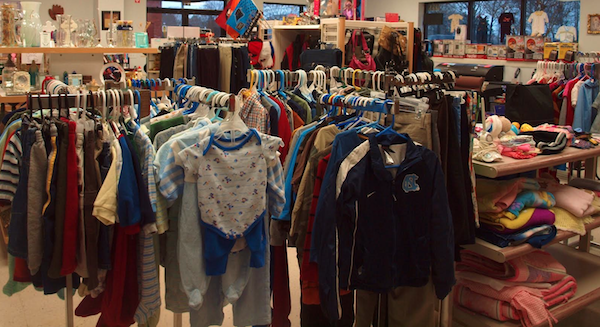 Although the sale didn’t happen, Brian gave the man some Cub Scout clothing and memorabilia he’d had in storage. Brian said he often gives away items in the store. Looking to the future, the Russells hope to hire someone to work in the store and to haul and deliver goods purchased at storage auctions. Do These Kids Make Me Look Crazy?